One of the most valuable advise I got from my Mom was to get a good automatic washing machine. I always wondered why she invested on an expensive Whirlpool washing machine which could wash up to 10 kilograms of clothes. I realized that since the 90s she's only actually bought 2 washing machines. Some friends though dissuaded us from buying an expensive washing machine before we married. They said that it was going to make a dent on our electricity bill. I don't really know how much electricity it would eat up, but I thought it would be a good trade-off. 1. We decided not to get a helper. Both of us had no clue how to do the laundry when we got married, but since both our parents were using automatic washing machines we figured it would be easy to manage. 2. Save time. We both have very busy jobs and one of the things that we realized was if we got an ordinary washing machine someone would have to hang around it while doing the laundry because you'd have to transfer the clothes to another tub for rinsing. 3. It's better to do your own laundry rather than bringing it to a laundry shop. We have friends who keep complaining about ruined clothes and lost clothing. Save yourself the pain and just do it yourself. 4. Value for money. The machine we got was around PhP16K, but we paid for it on installment basis so it wasn't as painful in the pocket. 5. Togetherness and enjoying laundry time. When I moved to Singapore I had to teach Sweetie how to do the laundry. He actually took a video of me sorting clothes and then loading the washing machine. He always wondered why I liked to do the laundry (it's both an art and a science!) and now he tries to beat me into doing it (yeah we're funny that way)! 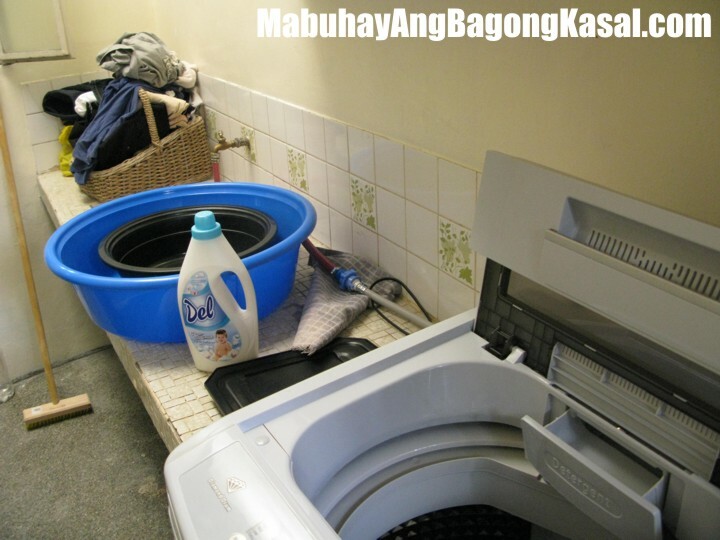 That's why it's important to choose your household appliances wisely (just like voting!). Buying cheap stuff doesn't necessarily mean it would save you money. If you can buy an expensive smartphone then you can definitely afford to buy an automatic washing machine.